the ideal place to stay for a holiday. Dafarn Rhos is a 34 acre small holding which borders the large sandy beach at Lligwy, with the all Wales Coastal Path and a cycle path "Hebog" (Falcon) passing close by. The seaside village of Moelfre is a mile away. 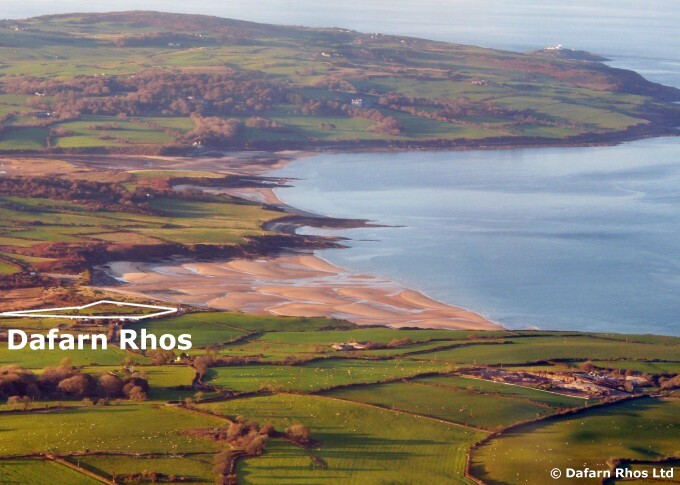 It is within Anglesey's designated Area of Outstanding Natural Beauty; AONB, one of four in Wales. in a designated area of outstanding natural beauty (AONB), with spectacular panoramic views of the sea, beach, dramatic coastline and countryside . 1 - 2 minute WALK to the sand and coastal path from the site. A wonderful peaceful and tranquil setting. It's beautiful unspoilt character and natural landscape remains to this day with mature native hedgerows filled with wild flowers and wildlife. A mainly grass site made up of 4 fields with an ADULT ONLY field being available during mid/low season. All pitches (pre-allocated) are around the edges of the fields with 6 metres/20 feet fire break between all units. The land is on a gradual gradient down towards the beach with flat and slightly sloping pitches. All access gates on the campsite, both walking and driving are electronic and need a fob to open. It is a family owned site established in the 1930s. An uncommercialised site: NO BAR or PLAYGROUND. Electric hook ups (10amp). All electric hook up pitches are within 24 metres of an electric hook up plug in point. The seaside village of Moelfre is 1 mile away - pub, general store, gift shops, coffee shop, cafes and a restaurant. Also there is a RNLI lifeboat station and RNLI Seawatch Centre. Benllech is 3 miles away - 3 mini supermarkets, pubs, restaurants, takeaways, garage, cash points, chemist, butchers, hairdressers, newsagents, and other shops, as well as a doctors and dentist surgery. The site office is closed from 1pm to 2pm. Early arrivals will be turned away. If your ETA is earlier than 2pm please stop for a break before you get to Moelfre because there is limited parking for cars only and the campsite driveway and electronic entrance gate needs to be kept clear for people already on site and the Emergency Services. If circumstances beyond your control prevent you from arriving 30 minutes before the office closes please contact the office to let them know of your delay and to see if anything may be done to help you. No arrivals will be allowed on site after dusk in the interest of safety and in consideration of other customers. Late departure, up to 5pm, may be available during Low and Mid season for a fee of half your nightly charge and only if the pitch is available. All access gates on the campsite, both walking and driving are electronic and need a fob to open (£20 cash refundable deposit each). The walking gates are accessible 24 hours a day. The driving in and out gates automatically lock between 9pm and 10pm depending on sunset times and re-open at 7.00am. This is in the interest of everyone’s safety and peaceful enjoyment of the campsite after dark. If arriving back to the campsite after the vehicle access gates are locked, there is a late parking area beside the entrance gate, for vehicles to park overnight which has lights and CCTV. A pedestrian gate in this area gives 24 hour walking access to the campsite. 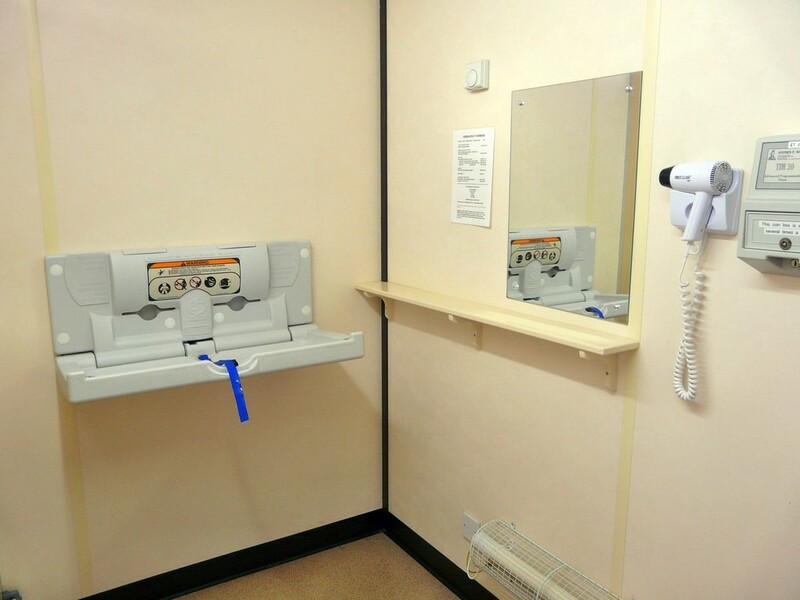 Procedures are in place in the event of an emergency on site during the night - there is an "Emergency Help" button to contact the duty warden. i.e. - anyone who wishes to visit campers during their stay on site whether 10 minutes for coffee or overnight. All visitors/guests must be booked in when the pitch is booked or at least 48 hours before intended visit. Visitors/guests not booked in will be turned away. The management reserves the right to refuse access to any visitor. MID SEASON - Any family members and friends. There is a limit to the total number of people allowed on site at any one time. 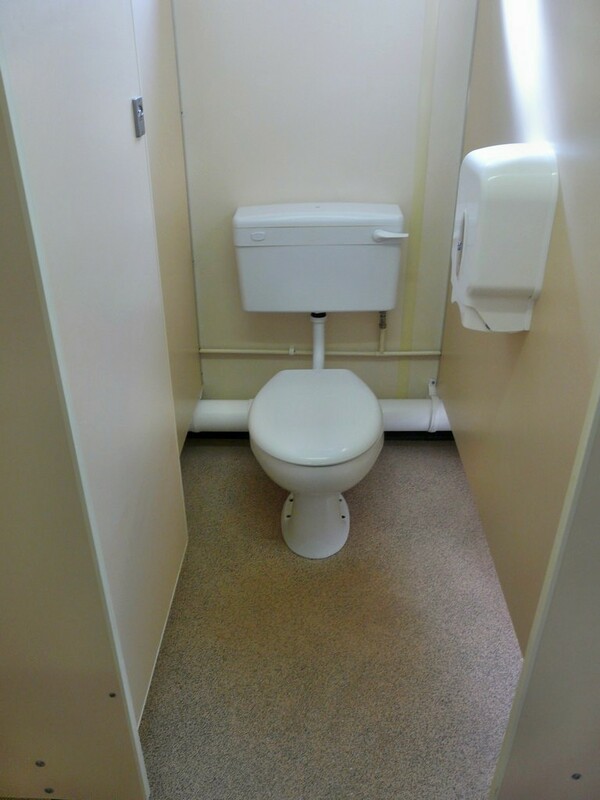 Therefore during HIGH season we can only accommodate a limited number to make sure that all the facilities (toilets and showers) and parking spaces are readily available for our customers use. For the security and safety of everyone (especially young children) and everyone's property, it is essential that visitors/overnight guests report to reception on arrival and departure, during office hours, as we record every vehicle and person that is on the campsite. Day Visitors - Arrival and departure during office hours. Overnight Guests - Arrival after 2pm and departure by 11am. Day & Overnight - Arrival during office hours and departure by 11am. Lligwy Beach allows dogs all year round. The campsite beach gate is a 1 minute 30 second walk to Lligwy beach, the all Wales coastal path and the lane beside the campsite. We do not allow on site any dogs that bark excessively, are aggressive or of a breed of dog listed under the Dangerous Dogs Act 1991. If a dog causes a disturbance or is a nuisance to others or in breach of any of the dog terms and conditions, the owners will be asked to remove the dog(s) from the site immediately and permanently - no refund will be given. Radios, televisions, electrical gadgets or music must be kept at a very low volume and MUST NOT AT ANY TIME be heard outside the owner's unit. They must be raised off the ground - bricks available on site. All BBQ's must be charcoal or gas based - no wood BBQ's allowed. BBQ's must be out by 10pm and not used as a fire after food has been cooked. A fee is charged for burnt grass. There is WiFi available on site. It is BT infinity fibre optic broadband. It is limited in its capacity/band width, and might not be the same speed and strength that you're used to at home due to our location; very rural, beside a beach, on an Island and the main local exchange box over a mile and a half away. We do have the maximum bandwidth available for our area, but it is very low. It is ok for browsing; - emails, social media and looking at websites. It cannot be used for streaming; – downloading online entertainment i.e. films, TV programs, or playing games, music or uploading or downloading large numbers of photographs or youtube. Although the site has wifi there are areas/pitches where it may not be accessible. It is advisable to check that you can get access on your device before purchasing an access code. There is a charge of £2 for 24 hours with an access code available at the site office. Please read these terms and conditions and contact us if you have any questions. All these terms and conditions are to help make an enjoyable and safe holiday for all our customers. If you do not agree with any of these terms and conditions then please seriously consider whether this is the right site for your holiday, as we do not like to have to remind anyone or refuse a request that breach any of the terms and conditions. 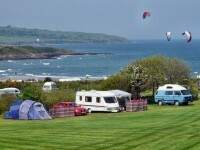 PITCHING: Pitching of tents, caravans, motorhomes and all other kinds of units must be on the specific pitch and positioned within the pitch boundary as advised by the management. The site abides by the national fire regulations imposed by all local authorities as set out in the Caravan Site Act; all units must be 6m (20ft) apart, excluding guy ropes. Vehicles can be parked between units (one vehicle per pitch) but must be 3m (10ft) from adjacent units at all times. No seating or camping equipment is permitted in the fire break including wind breaks. Only one tent/unit per pitch. Sleeping in awnings of any kind is not allowed. Pup or storage tents allowed only by prior arrangement. ABANDONMENT: None arrival or removal of a unit from a pitch for whatever reason, with or without prior arrangement, will be deemed abandonment of the pitch and the management reserve the right to re-let that pitch and no refund will be given. 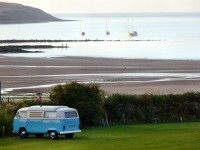 Daily movement of camper vans and motor homes accepted. CHILDREN: Parents/Guardians are responsible for the supervision of their children on site. 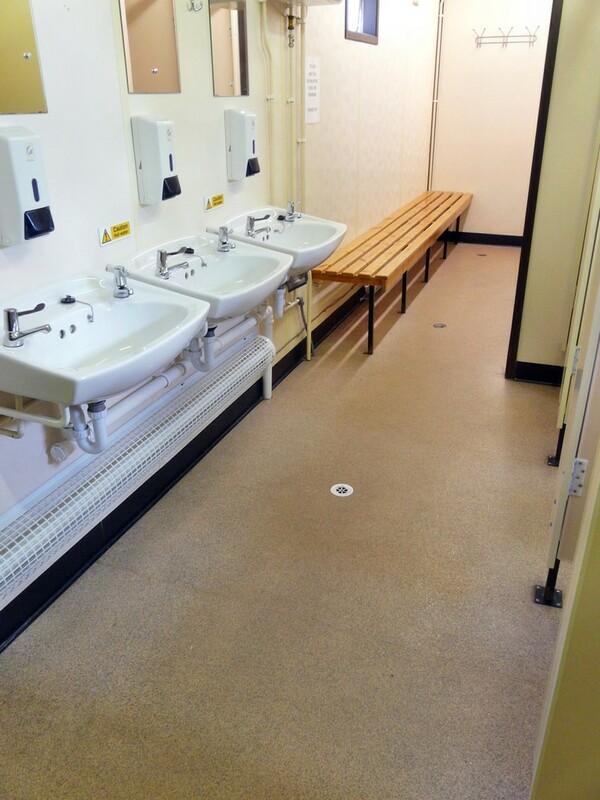 Children under 12 years of age must be accompanied by an adult when using any of the facilities (toilets and showers). Please do not let children play in any of the sand or roads on site. Children must only play/cycle in the field where their parents/guardians are pitched. 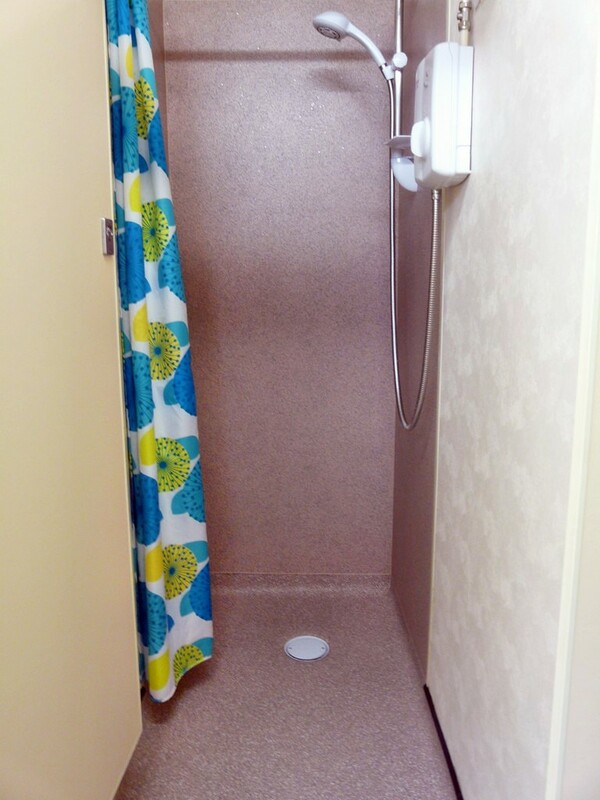 BARE FEET: Please wear footwear walking into all the toilet blocks. FIRE: Please make sure everyone in your party is aware of the site's fire procedure displayed in reception, fire fighting equipment and its location. BBQ'S: Charcoal and gas BBQ's only - no wood ones permitted. They must be raised off the ground - bricks are available on site, ask at reception. They must not be used as fires after cooking and must be out by 10pm. A £10 PENALTY IS LEVIED FOR BURNT GRASS - Please do not put hot pans or BBQ's directly onto the grass. Breeze blocks can be supplied. SPEED LIMIT: 5 MPH AT ALL TIMES ON SITE - walking pace. DRIVERS: No learner drivers. No children driving sitting on adult's knee. NO DRIVING ON/OFF OR AROUND SITE AFTER SUNSET OR BEFORE 7AM. NOISE & NUISANCE: Radios, tv's, or any sources of sound/or any music must be kept at very low volume and must not be heard outside the owner's caravan/tent etc at all times. NO NOISE after 10.30 pm or before 7.00 am. Anyone causing a nuisance or offence will be asked to leave. No refund will be given. VISITORS - Friends/Family: Season restrictions apply - see separate heading. Inform Reception of any visitors 48 hours before their arrival, anyone just turning up will be turned away. Visitors MUST check in with reception on arrival and departure. Visitor fees are payable. VISITORS MUST PARK IN VISITOR CAR PARK AREA. (Except blue badge holders). ALL "DAY" VISITORS can arrive from 9am but MUST LEAVE THE SITE BY 5pm. ADMISSION: We reserve the right to refuse admission to any person or vehicle. DEPARTURE: Pitches, site and property MUST BE vacated by 11.00am on the day of departure. Failure to leave on time will incur a penalty charge. LIABILITY: We do not accept any liability of any description for any person or vehicle using the site. We are not responsible for the loss, theft or damage to any property on the site. Site users must ensure they have appropriate insurance cover. ABUSE: Verbal or physical abuse or threatening behaviour toward staff or other campers will not be tolerated. Offenders will be required to leave the site and the police informed. These terms and conditions will be enforced to help make everyone's visit a safe and enjoyable one. Breaches of any of these terms and conditions constitute grounds for removal from site, no refunds will be given.